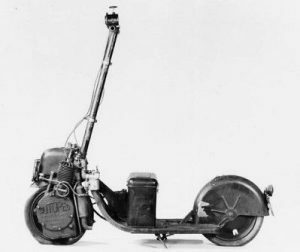 The Autoped, it is a gasoline powered scooter imported from America.. The box is indeed a battery, but for a later version with an electric coil and better lights. 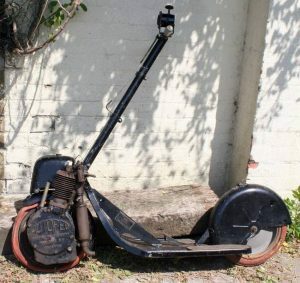 According to Oldbike, it was the world’s first scooter. The Smithsonian has one, and doesn’t mention the gangs of New York. All control of the vehicle is through the steering column. Turning the column steers the machine in the conventional manner; pushing it forward engages the clutch; and pulling it back operates the internal, expanding brake on the front wheel. 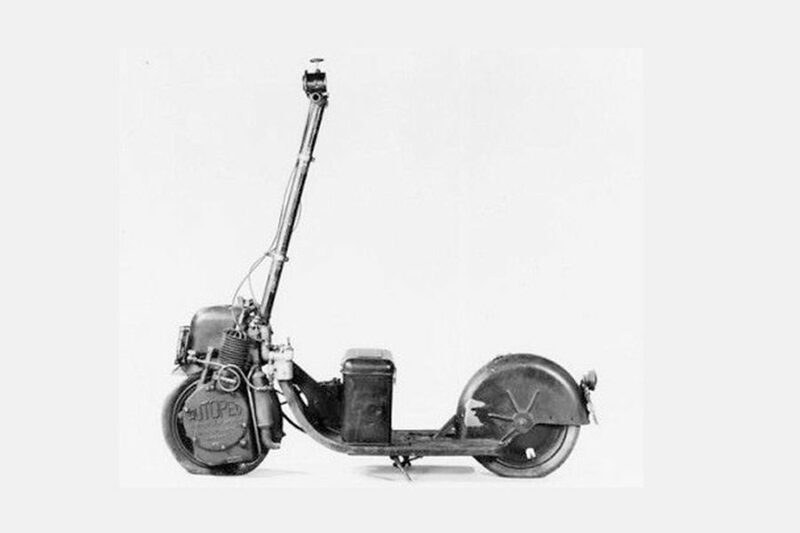 Turning the left grip operates the throttle, and turning the right grip operates the compression release through a wire controlling the opening and closing of the intake valve. A hand Klaxon is mounted on the left grip. It was a folder, too.